During meetings in Washington, D.C. on October 20, 2016 the TÜSİAD delegation discussed recent developments in Turkey after July 15 and U.S. – Turkey relations. Led by TÜSİAD President of the Board of Directors Cansen Başaran-Symes, the delegation continued TÜSİAD’s international meetings with representatives from the business world, think tanks, and politics to discuss developments in Turkey after July 15. 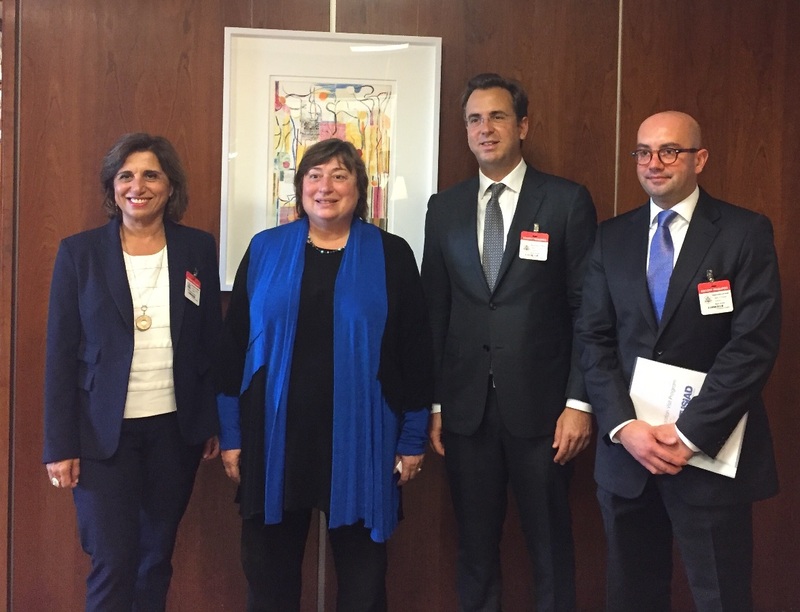 On October 20, 2016 the delegation met Under Secretary of State for Economic Growth, Energy, and the Environment Catherine Novelli at the U.S. Department of State. During their time in Washington the delegation also met with think tank and thought leaders. They discussed recent developments in Turkey, Turkey’s economic outlook, and U.S. – Turkey relations. TÜSİAD’s first international visit took place in Berlin on September 22-23, 2016 and the Washington, D.C. visit will be followed by meetings in Paris on November 9, 2016.